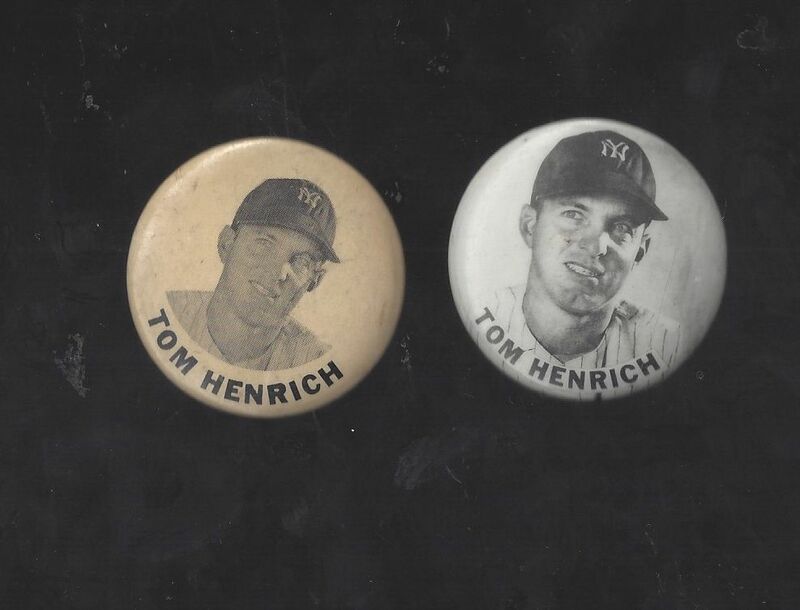 C. late 1940's Tommy Henrich (NY Yankees) lot of (2) PM10 Stadium Pins. Both have an extended stick pin on back. Both show a small amount of oxidation/pitting on back. Ex.